Susette Kelo decides to leave her second marriage - her five sons are grown, she has had to struggle much of her life and she just wants to have a little house overlooking the water that belongs to her. She finds an older home in the working class Fort Trumble neighbourhood of New London, Connecticut. It needs some work, but the view of the water is priceless. She fixes it up slowly while studying for her nursing degree. At the same time pharmaceutical giant Pfizer, just across the river, is looking to expand it's facilities by building a new research and clinical centre. In an effort to woo them, the city of New London, in the form of the New London Development Corporation (NLDC) offers Pfizer, free of charge, a four million dollar piece of property. Pfizer is also interested in having suitable housing, shopping and recreational facilities nearby. And here's where two worlds collide. The NLDC decides that ninety acres, including Susette's neighbourhood, is better suited to Pfizer's needs than that of the people living there. Pfizer will generate jobs and more taxes. The NLDC invokes eminent domain and decides to take the houses. Eminent Domain is defined as the power of the federal or state government to take private property for a public purpose, even if the property owner objects. The Fifth Amendment to the United States Constitution allows the government to take private property if the taking is for a public use and the owner is "justly compensated" (usually, paid fair market value) for his or her loss. A public use is virtually anything that is sanctioned by a federal or state legislative body, but such uses may include roads, parks, reservoirs, schools, hospitals or other public buildings. 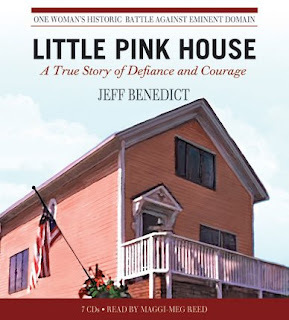 Little Pink House is the story of Susette Kelo and her refusal to let her house be taken. In a fight that went to the Supreme Court, the Kelo case is a landmark. Investigative journalist Jeff Benedict has done extensive interviewing, providing coverage of not just Susette's view, but that of the opposing side. For a fantastic video with Benedict and footage of the site click here. The reader, Maggi-Meg Reed, does an excellent job. She captures Susette's defiance, courage and determination perfectly. Her voice also manages to capture the arrogance of the NLDC and those involved with it. I was so captured by this true story. I listened in the car on the way to and from work and had to frequently flip back to the radio as I was so incensed by the arrogance, indifference and downright cruelty shown to the people of the Fort Trumble neighbourhood. Susette, her friends, supporters and their story are such an inspiration, choosing to stand up for their beliefs in a long, protracted ten year battle. For my Canadian readers - this happens here as well. It's referred to as expropriation. My grandfather's farmhouse was taken by this means to make way for a highway. 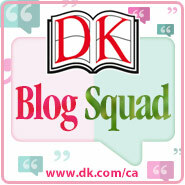 If you'd like a chance to listen to this story, you can enter a giveway for three copies here. I totally agree with you. This audio book is excellent! I was so angered by the bullying tactics used by the NLDC. I've told so many people about this story. Oh this does sound like a great book...think I will check out your contest! I love underdog stories like this. Thanks for letting us know about this! 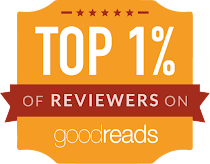 Reading your wonderful review is what inspired me to enter your contest. I really enjoyed reading it. Thank you! This is a topic I write about at work, and I remember writing about this case when it was hot news. Had no idea there was a book about it. Sounds interesting. Sounds incredible. I really am amazed how stuff like this happens. Thank you for the review! Great review. This does make me so mad and sad. This looks great--I love that it's actually based on a true story.